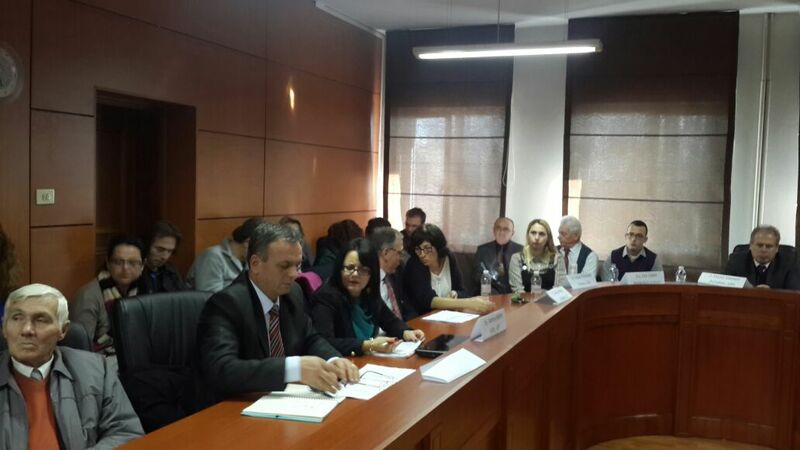 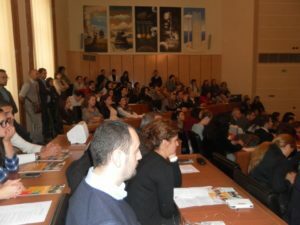 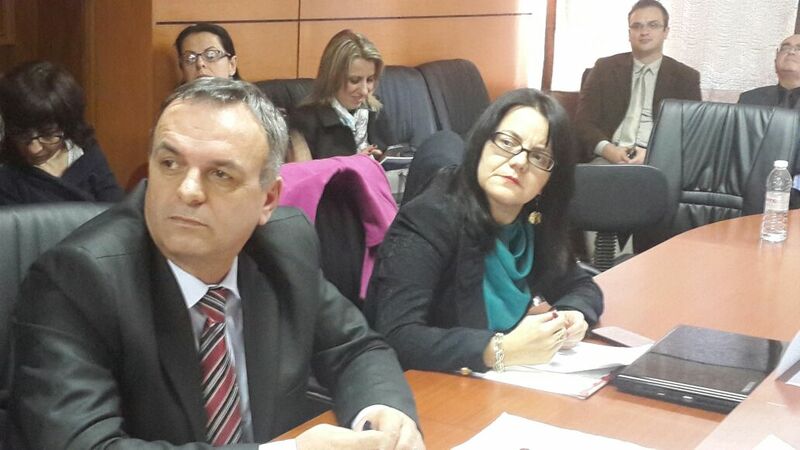 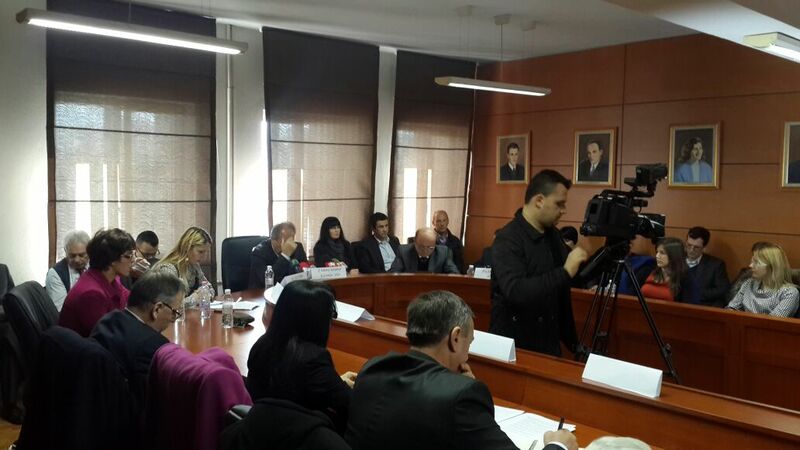 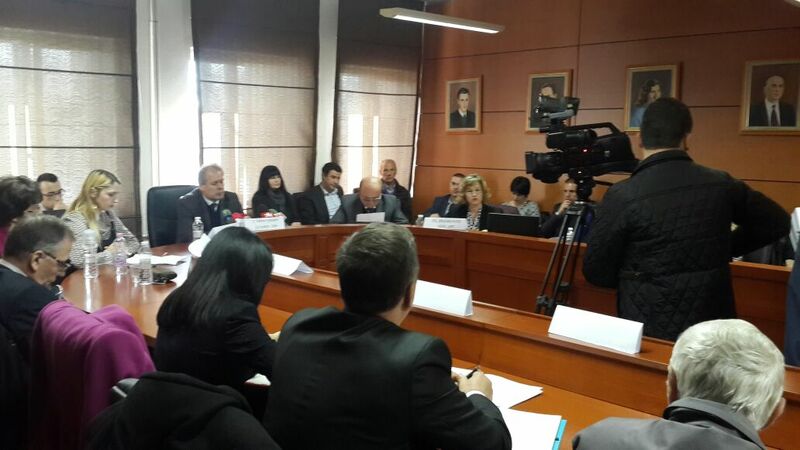 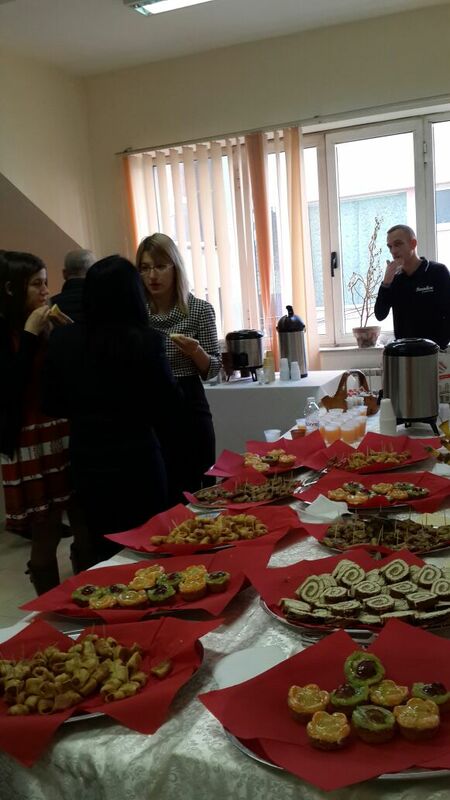 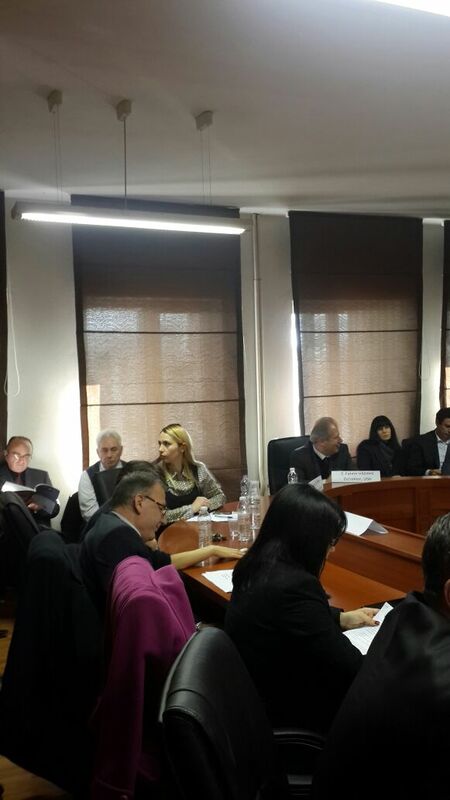 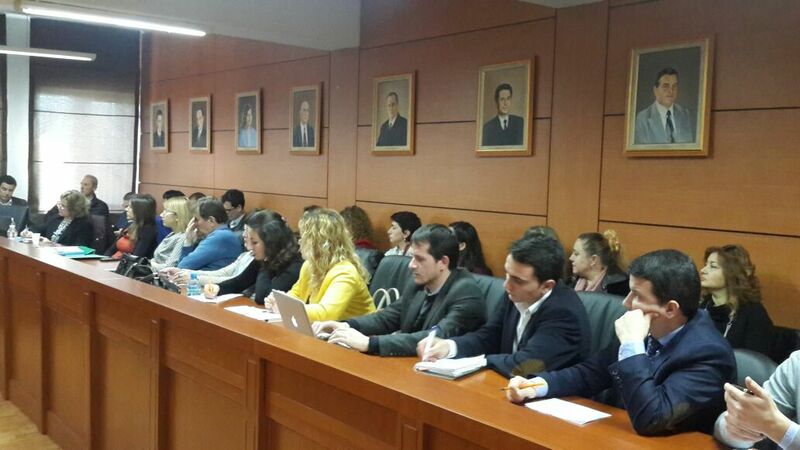 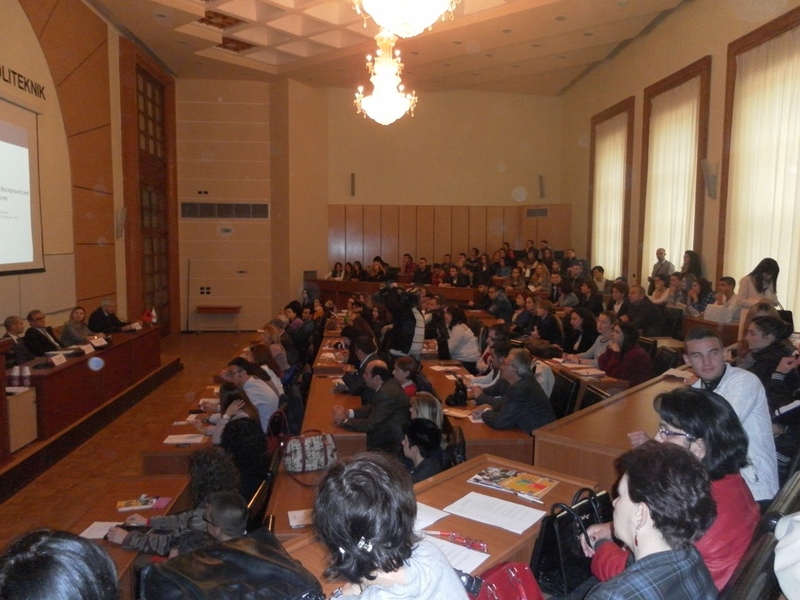 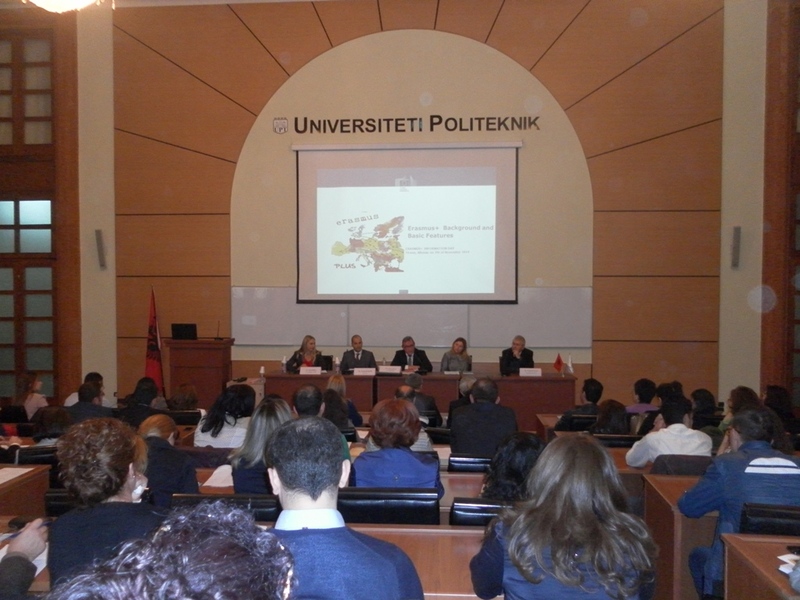 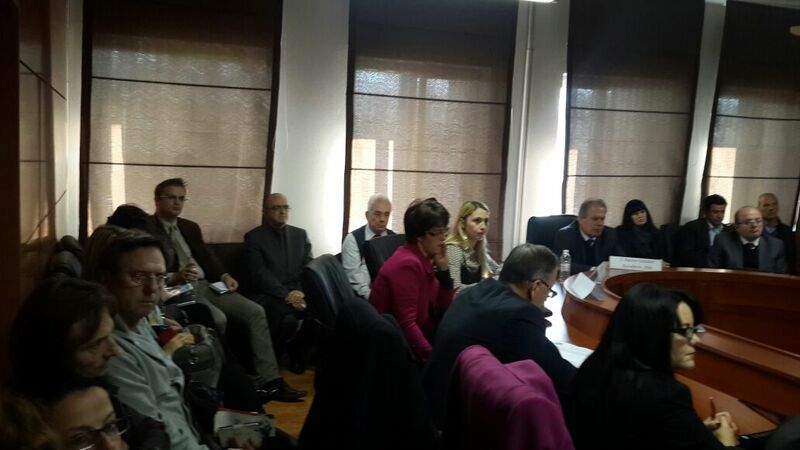 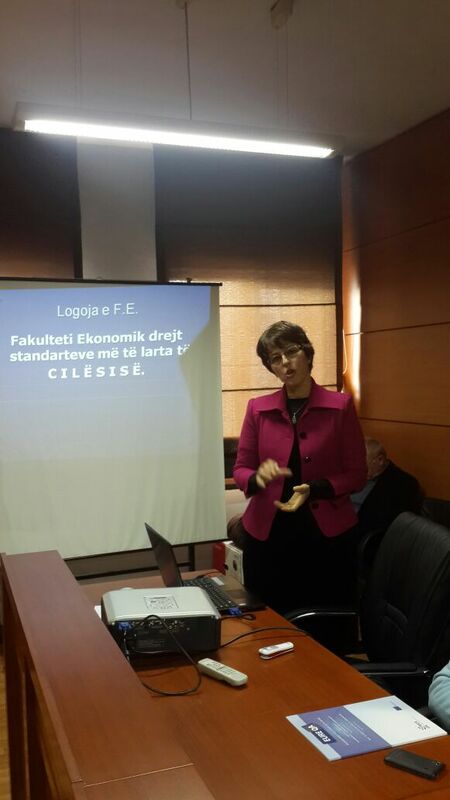 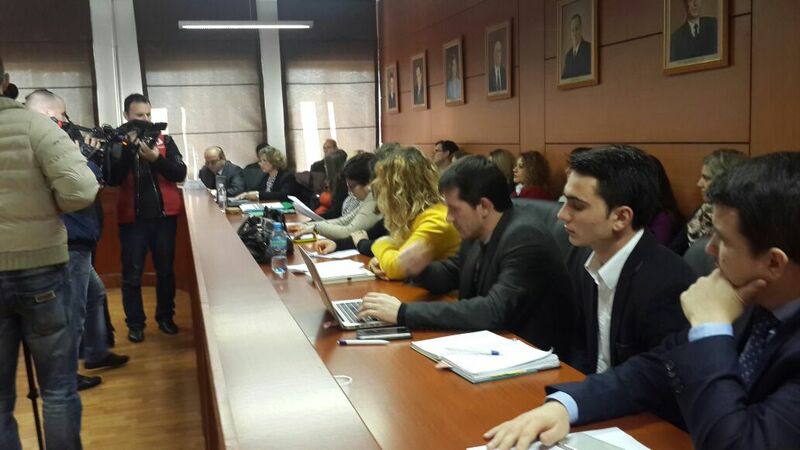 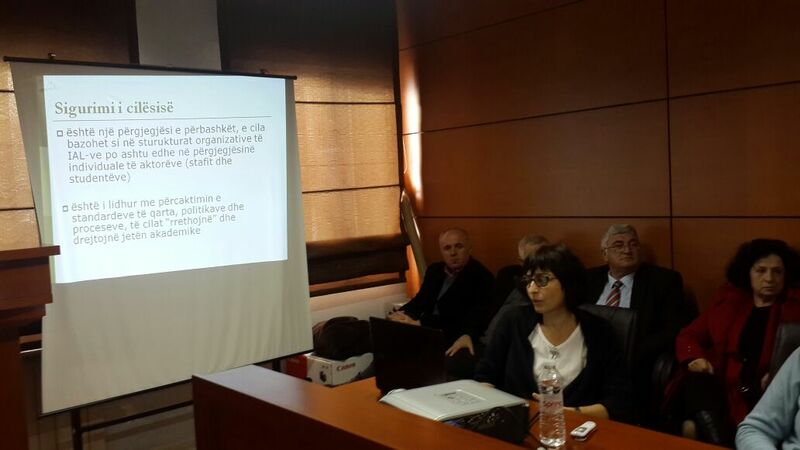 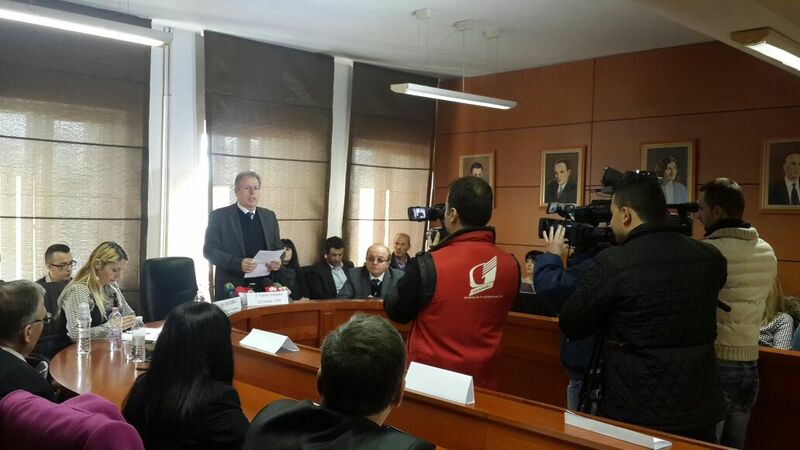 The Albanian Erasmus + Office in cooperation with the Albanian HERE team (Higher Education Reform Experts) organized the third national workshop on “Empowering universities to fulfill their responsibility for internal quality assurance”, on 19-th of December 2014, at the premises of the University of Shkodra “Luigj Gurakuqi”. 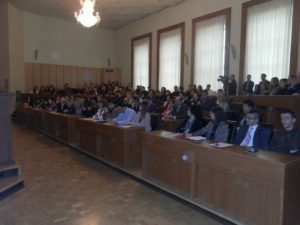 The event was attended by over 120 participants, coming from all the Albanian universities, staff of higher education agencies, ministry officials and students. 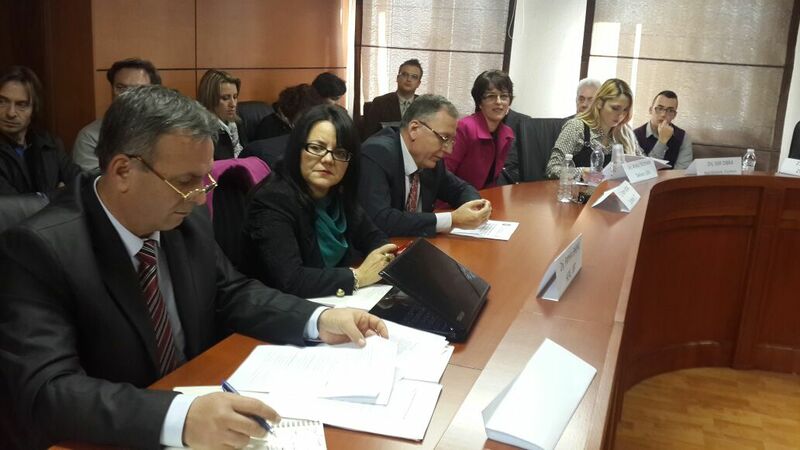 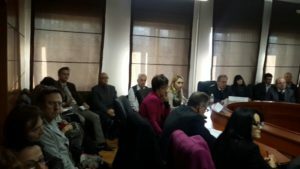 The aim of the seminar was to encourage reflection and discussion among academics, experts and ministerial representatives from all over the country on the general challenges and trends in Internal Quality Assurance mechanisms in Albanian Higher Education Institutions and the role of Tempus projects in that perspective. For this reason, representatives of different Tempus project with focus on Quality assurance shared their experiences and discussed the impact of Tempus projects in the improvement of internal quality assurance mechanisms and processes. 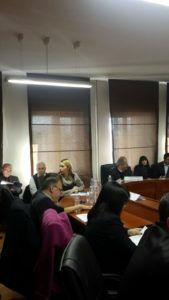 A very important input was given by the representatives ofEUREQA TEMPUS project (ref 530631-2012-1-BE-TEMPUS-JPGR), Mr Fatmir Mema, the vice dean of the Economic Faculty, Tirana University and Mrs Arjeta Troshani, the Dean of the Economic Faculty, Shkodra University. 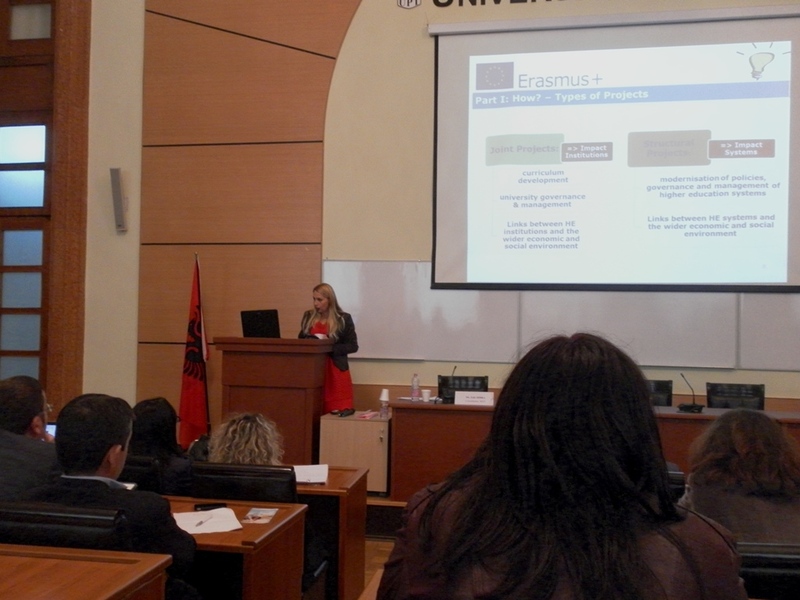 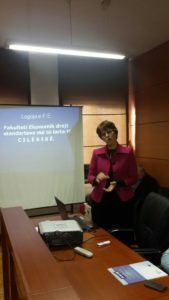 Moreover, Mrs. Anila Paparisto, HERE and member of the National Council for the Reform of Higher Education in Albania gave a very interesting panorama of the main challenges on Internal QA provoking lively debates among the participants. 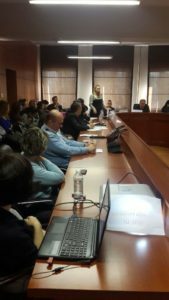 The results of this national workshop are expected to feed into the debate on the Accreditation Reform which is currently in place. 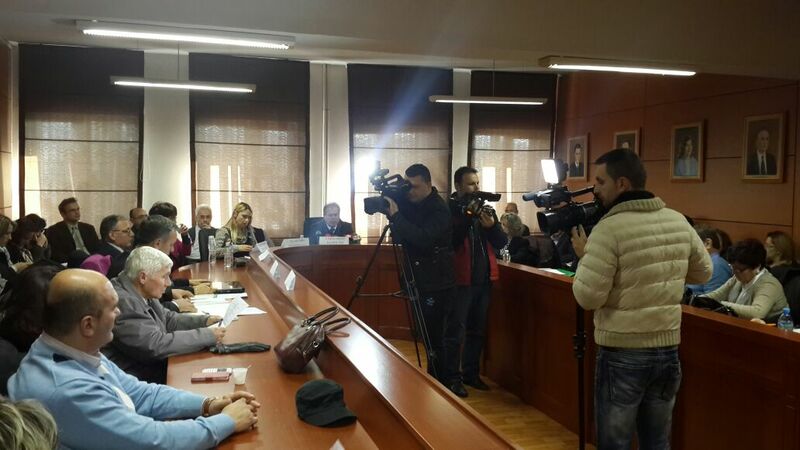 This event had a very large media coverage. 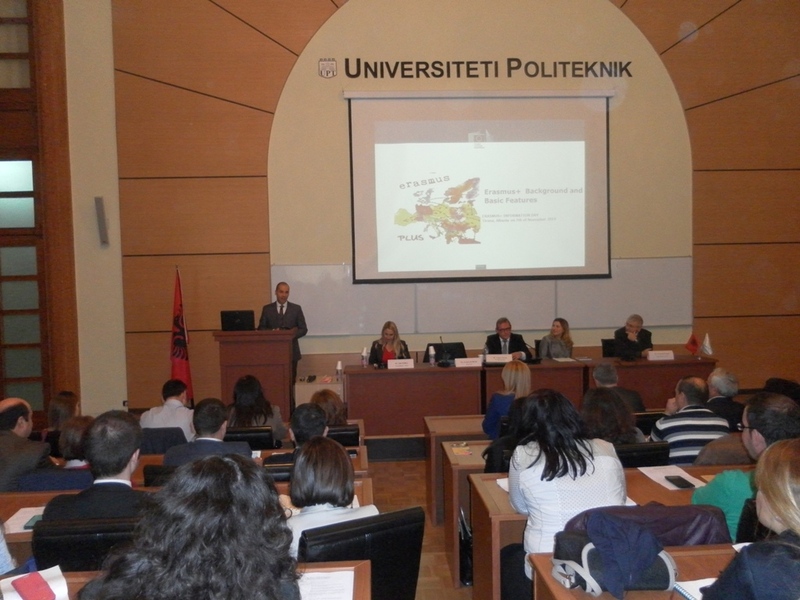 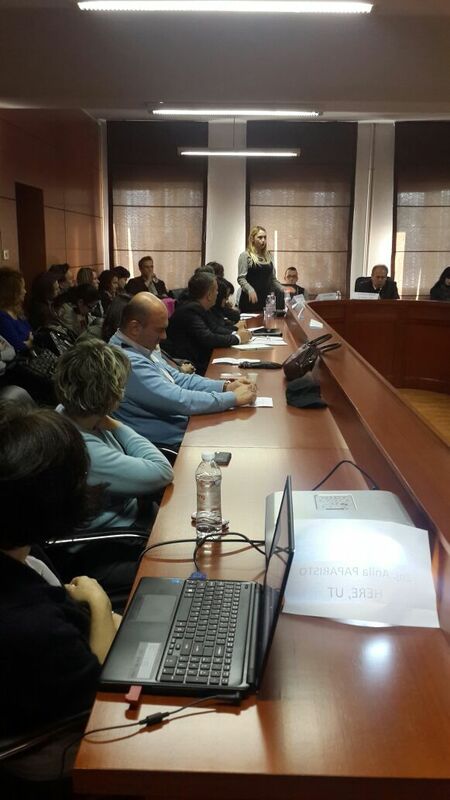 The Albanian Erasmus+ Office organized on the 7-th of November 2014 the “Erasmus + National Info Day” at the premises of the Polytechnic University of Tirana. The main scope of this Information Day was to promote the international higher education dimension of the Erasmus+ programme which includes for Albania: Credit mobility (international opening of Erasmus); Degree mobility through joint master degrees (and on-going Erasmus Mundus joint master and doctoral programmes); Capacity Building action which includes a mobility component for the neighbouring countries and the Western Balkans;Jean Monnet activities focused in European Integration issues. 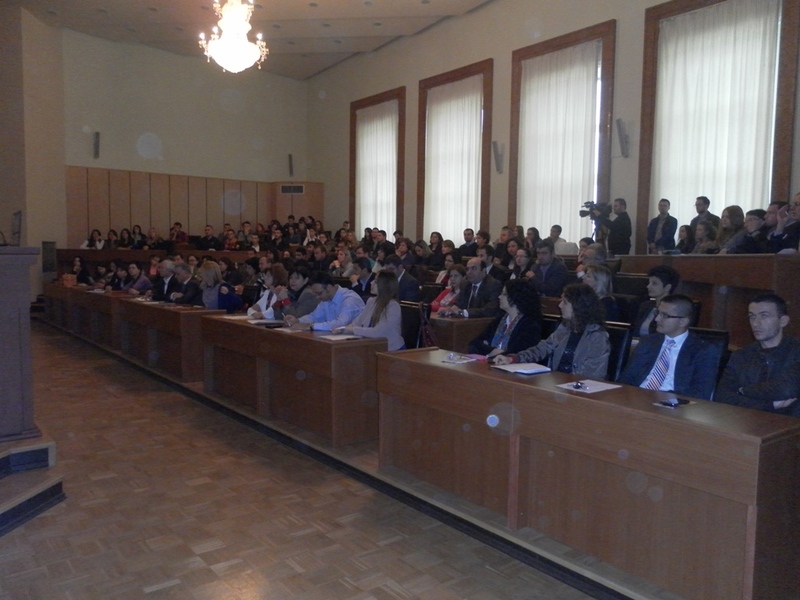 This event was attended by more than 160 representatives coming from all the Albanian universities including academic, high management and administrative staff, staff of higher education agencies, Ministry of Education and Sport officials and students. 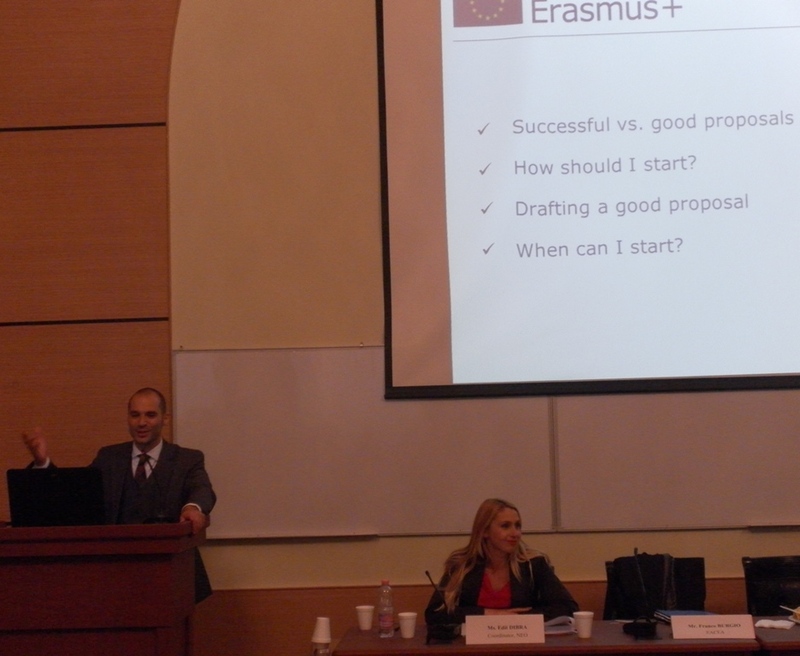 Presentations for each component of Erasmus+ when Albania is eligible to apply and relevant training on how to write successful proposals was provided by Mr. Franco Burgio, project officer from the EACEA and by Mrs. Edit Dibra, the national coordinator of Erasmus+ for Albania. 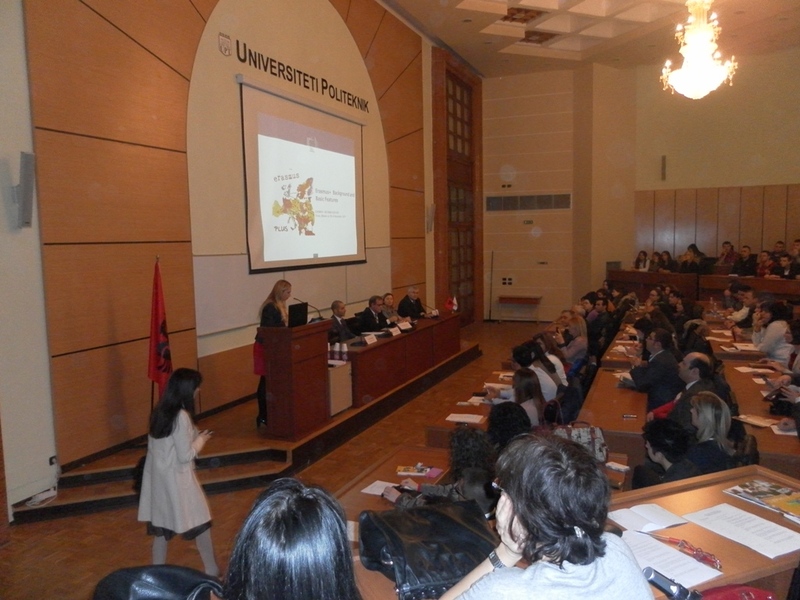 The Albanian Erasmus+ Office is very pleased to invite you to the “Erasmus + National Info Day” to be held on the 7-th of November 2014, at the premises of the Polytechnic University of Tirana, from 9.00 A.M, according to the program below. 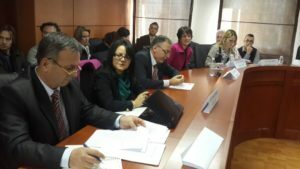 – Capacity Building action which includes a mobility component for the neighbouring countries and the Western Balkans. 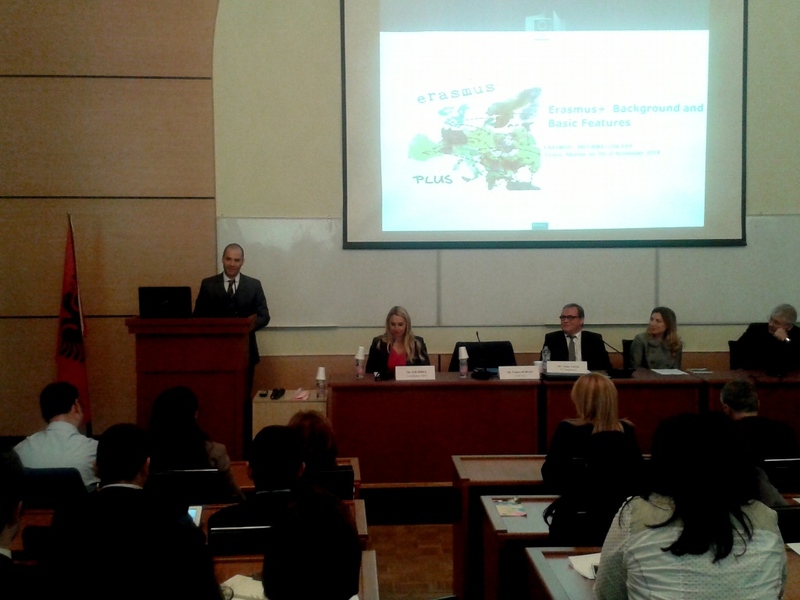 Jean Monnet activities focused in European Integration issues. This event is expected to be attended by representatives coming from all the Albanian universities including academic, high management and administrative staff, experts from the Executive Agency for Education, Culture &Audiovisual in Brussels, staff of higher education agencies, Ministry of Education and Sport officials and students. Presentations for each component of Erasmus+ when Albania is eligible to apply and relevant training on how to write successful proposals will be provided by Albanian Erasmus+. We are looking forward to welcoming you in our Erasmus+ National Info Day.